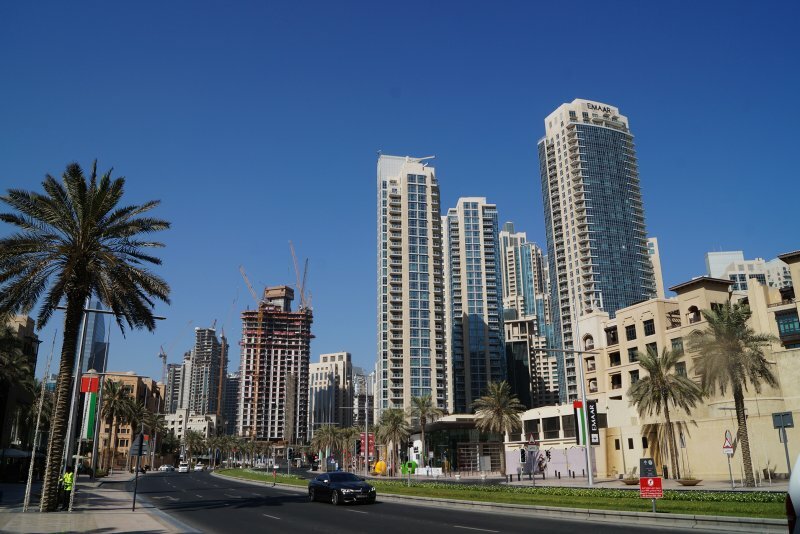 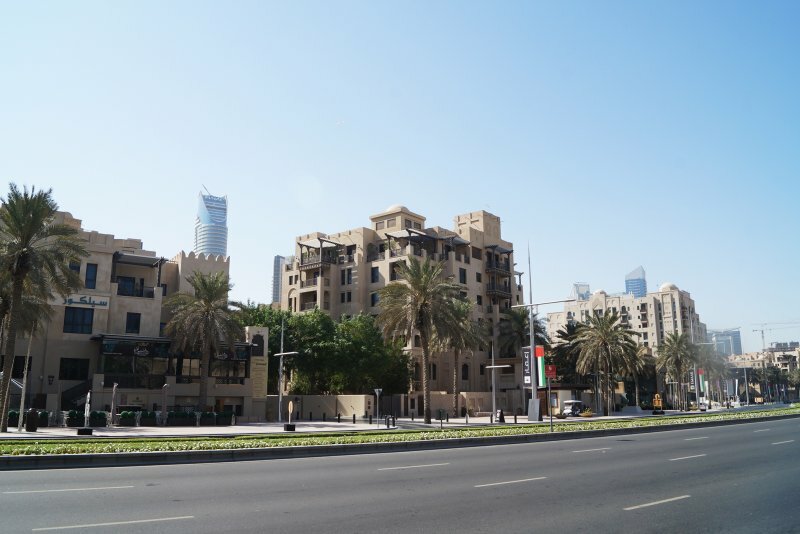 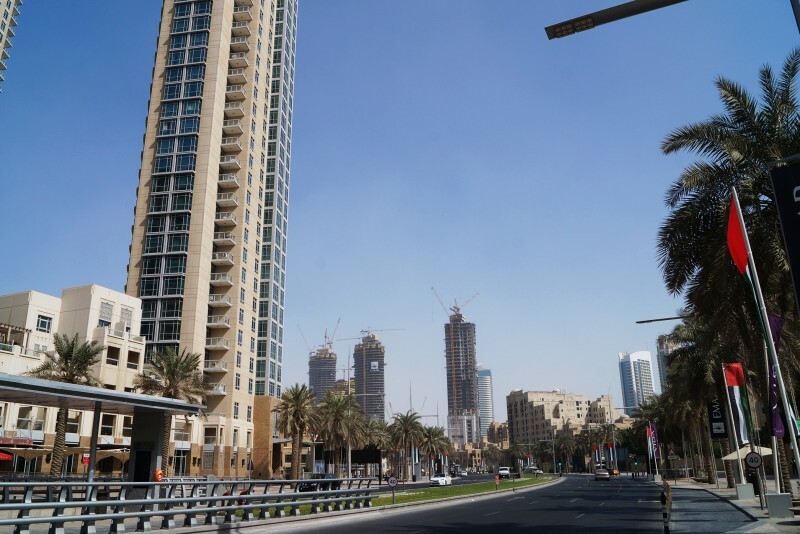 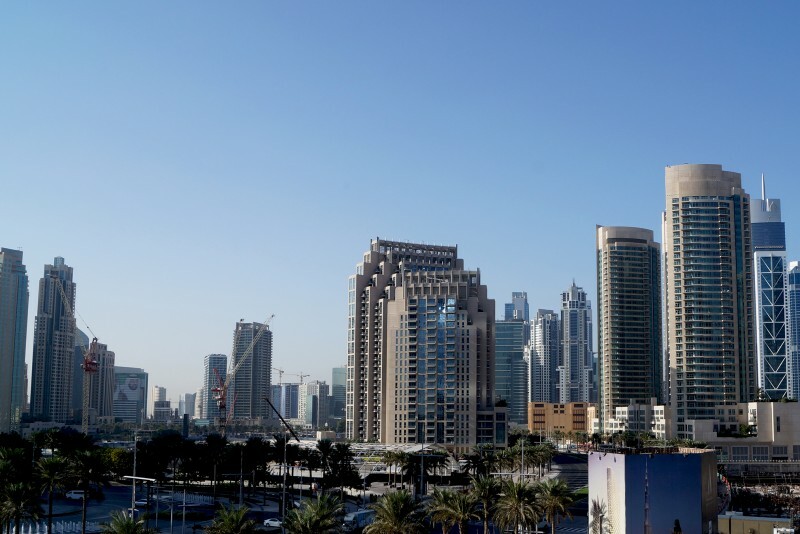 Downtown Dubai is a huge residential and commercial development in the north of Dubai covering an area of two square kilometres, part of which is still in construction. 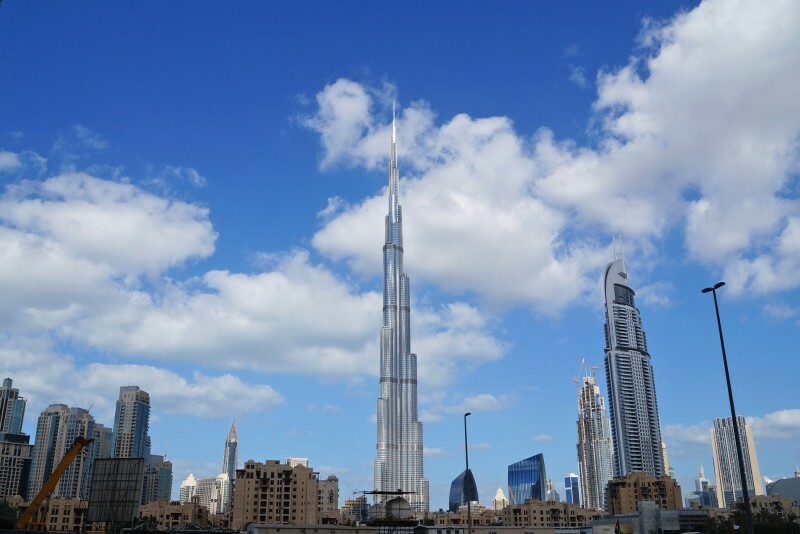 It is home to some of Dubai's best known landmarks including Burj Khalifa, the Dubai Mall, the Dubai Fountain and Dubai Opera. 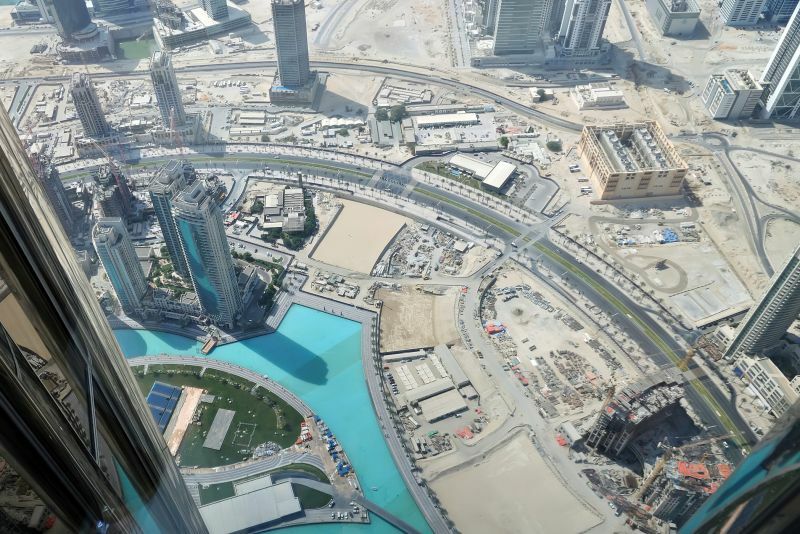 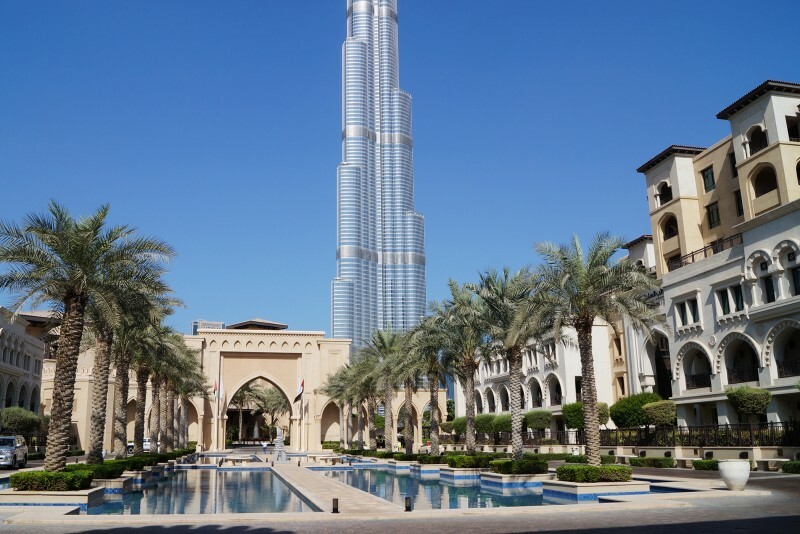 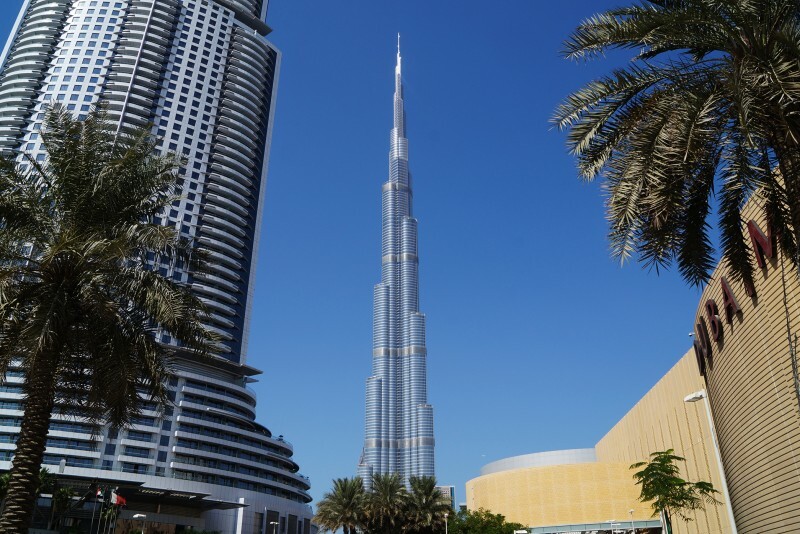 Burj Khalifa, the world’s tallest building, contains a hotel, office space and 900 apartments. 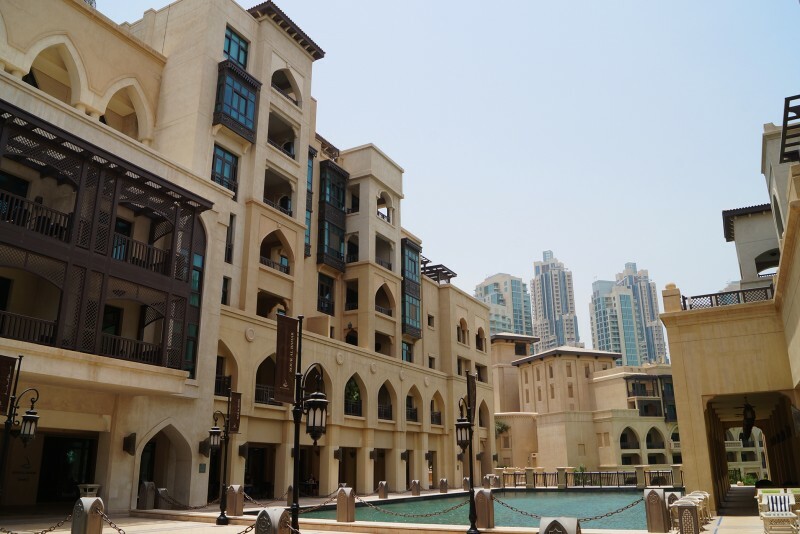 Surrounding areas have low-rise villas and town houses as well as residential towers. 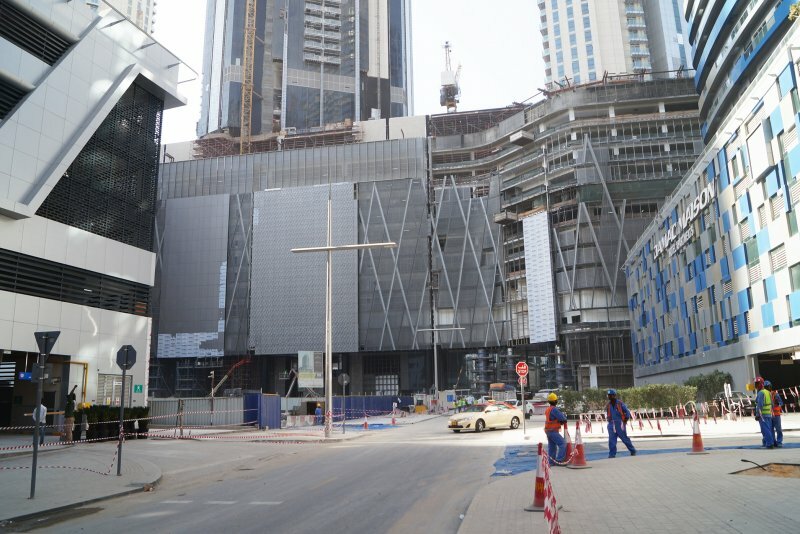 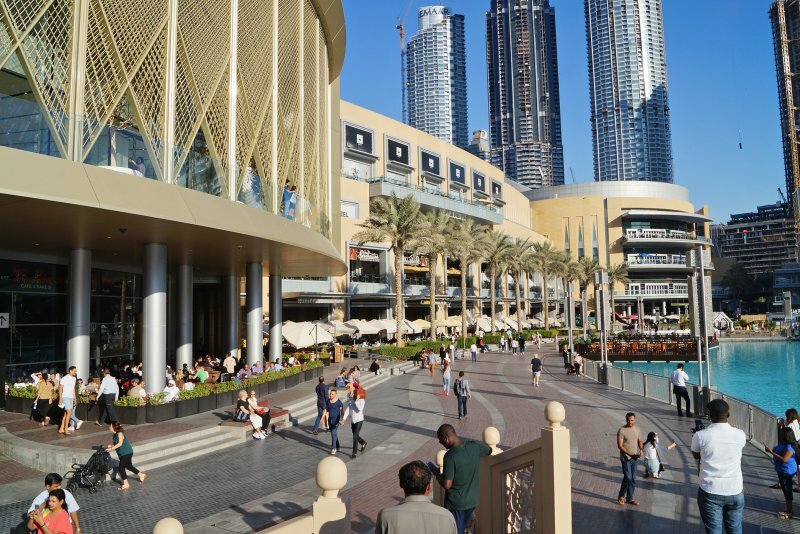 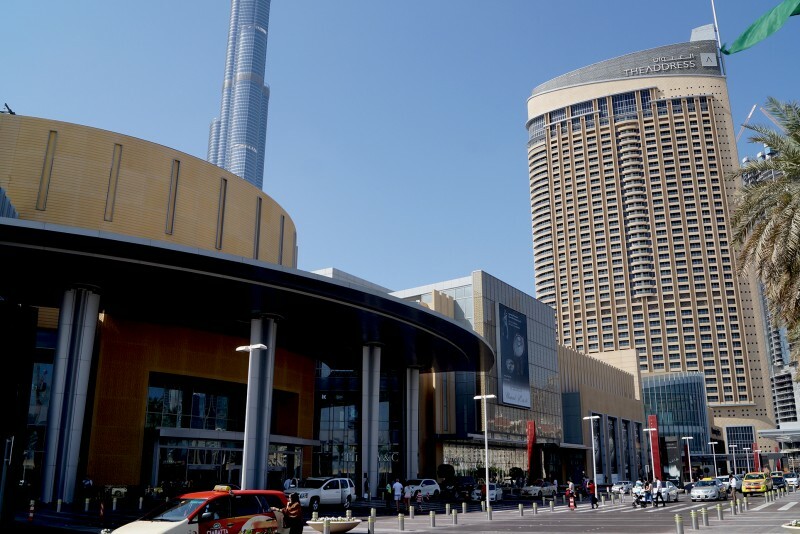 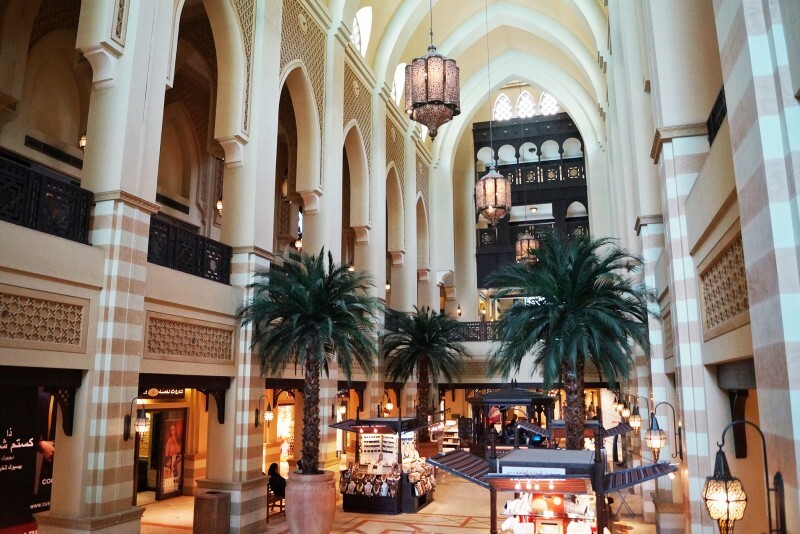 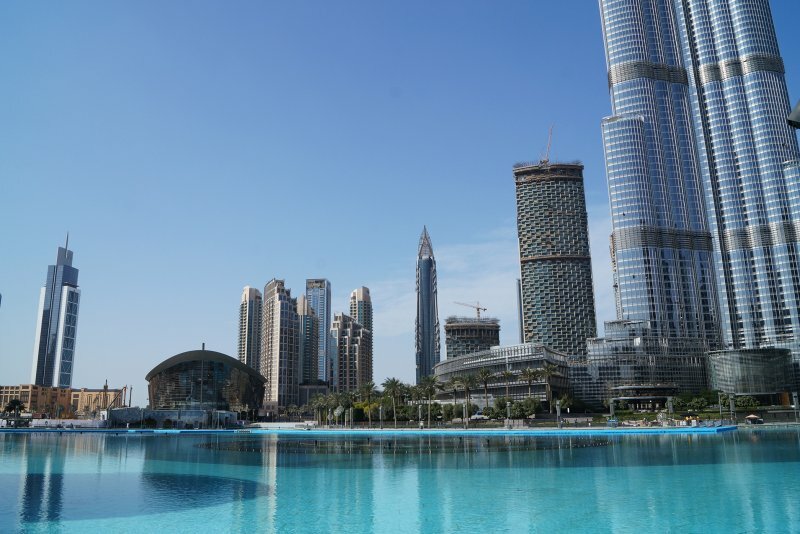 The metro connects with Downtown and the Dubai Mall whose 1,200 retail outlets, aquarium and ice rink draw shoppers and leisure seekers from all over the country. 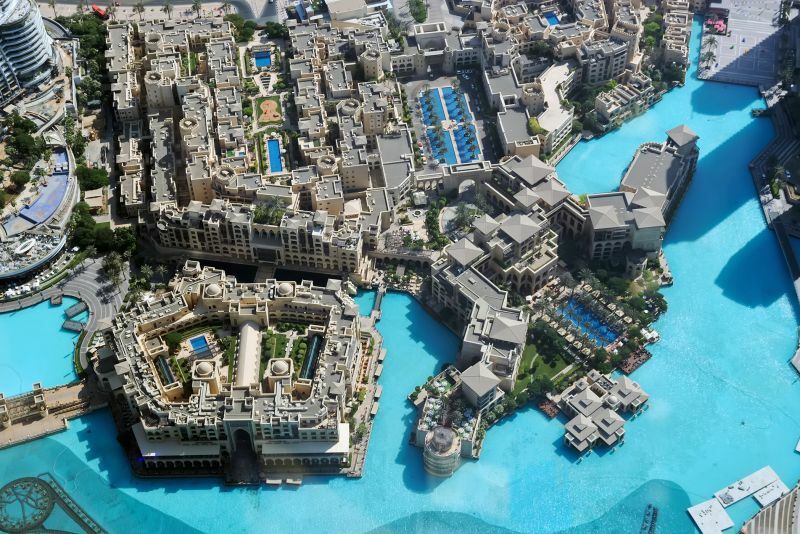 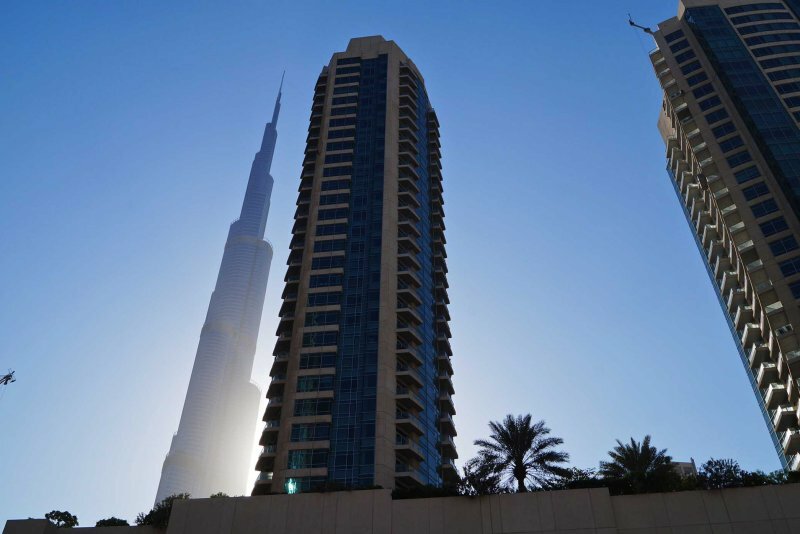 Residential accommodation in the centre of Downtown Dubai is high rise and high living in Burj Khalifa, with its apartments backed up by state-of-the-art fitness facilities, indoor and outdoor pools, jacuzzis and recreation rooms, and in The Address with its 626 up-market serviced apartments. 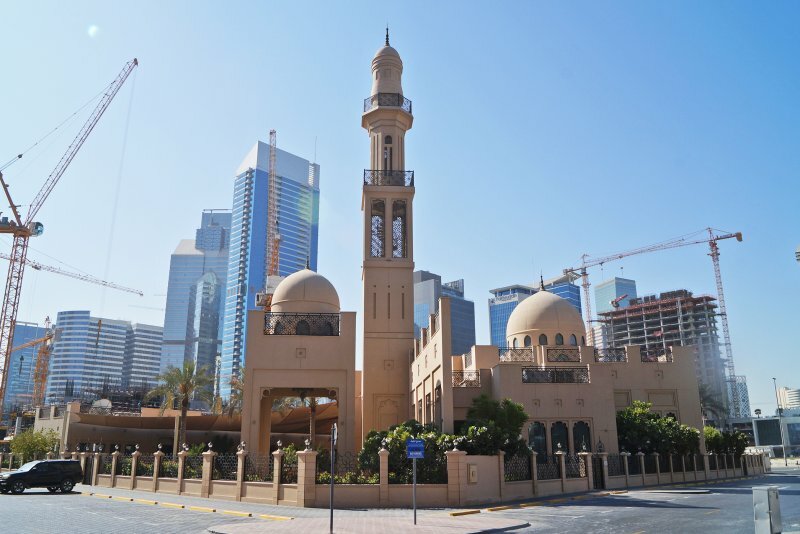 Away from the centre is the low-rise Old Town with its clusters of Arabic style buildings, narrow streets and shady gardens. 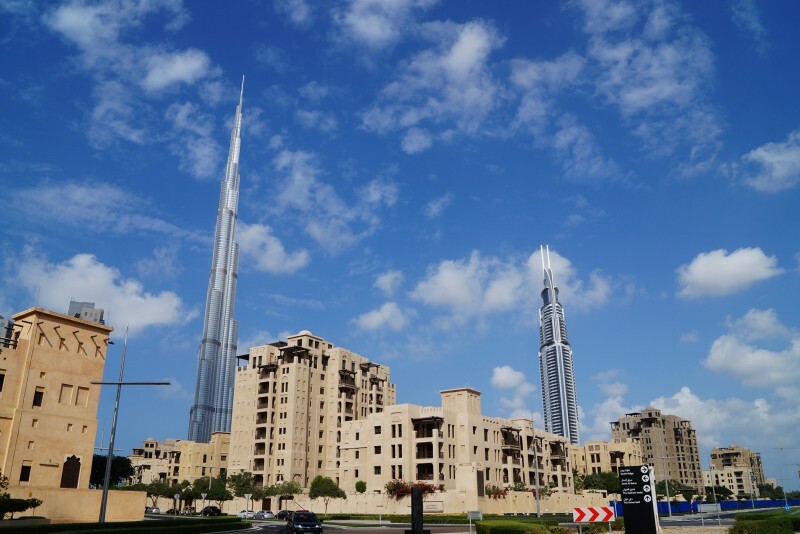 Beyond Old Town there are several high-rise apartment complexes, including South Ridge, The Distinction and Burj View Towers. 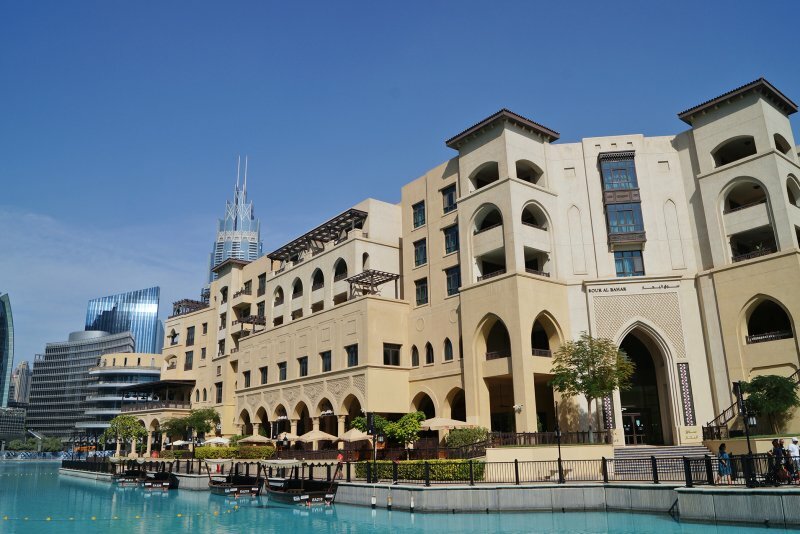 One-click links to properties currently on the market in Downtown Dubai. 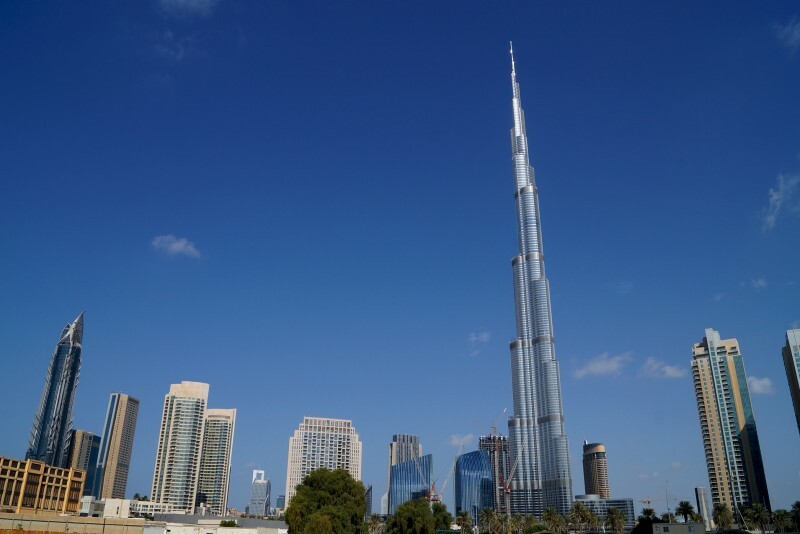 Burj Khalifa is the tallest building in the world and the centrepiece of Downtown Dubai. 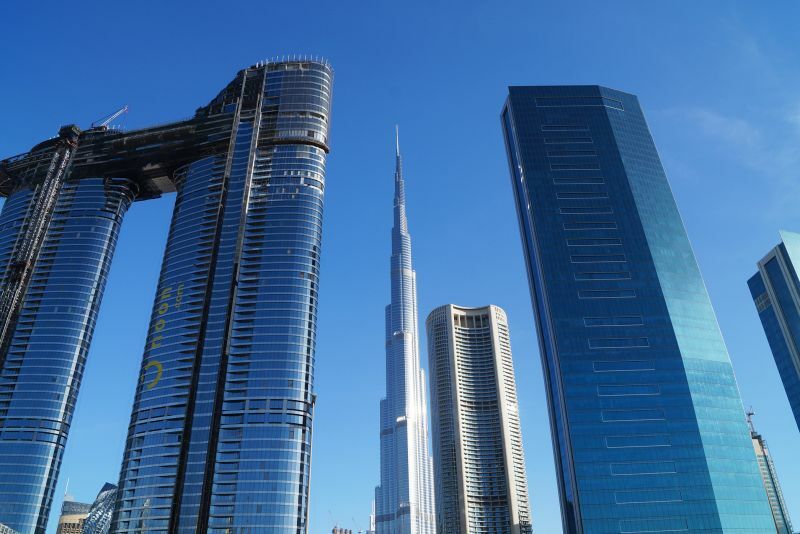 The Burj (or ‘tower’) has 90 residential floors and a 160-room Armani hotel as well as commercial office space. 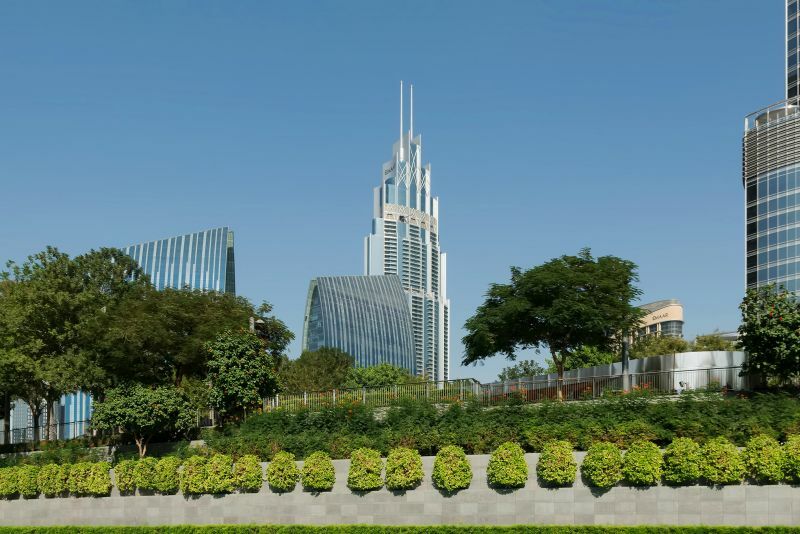 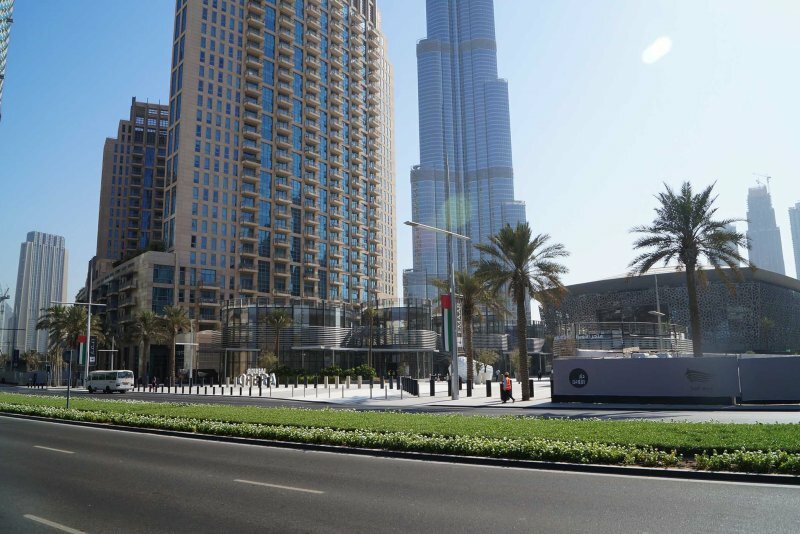 Surrounding the Burj is The Park with its 11 hectares of landscaped gardens, six water features, two tennis courts, children's playground and wading pool. 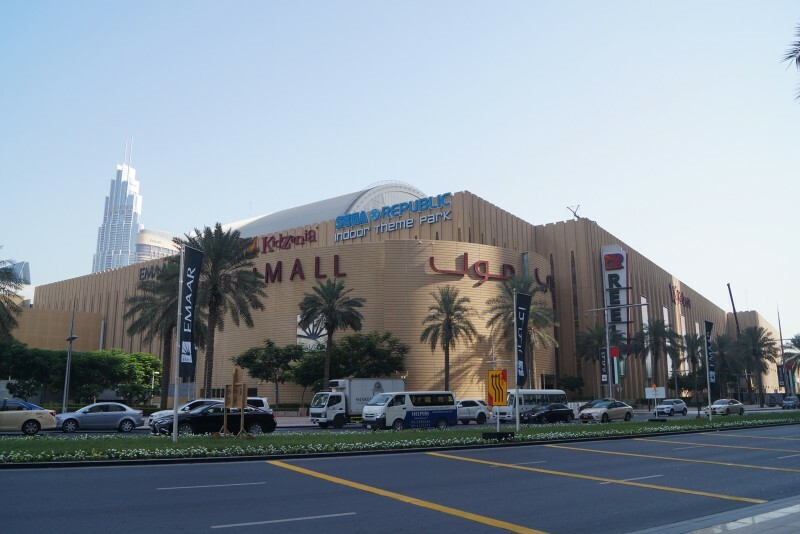 The Dubai Mall is the world's largest shopping mall housing 1,200 shops, an olympic-sized ice rink, an aquarium and a water zoo. 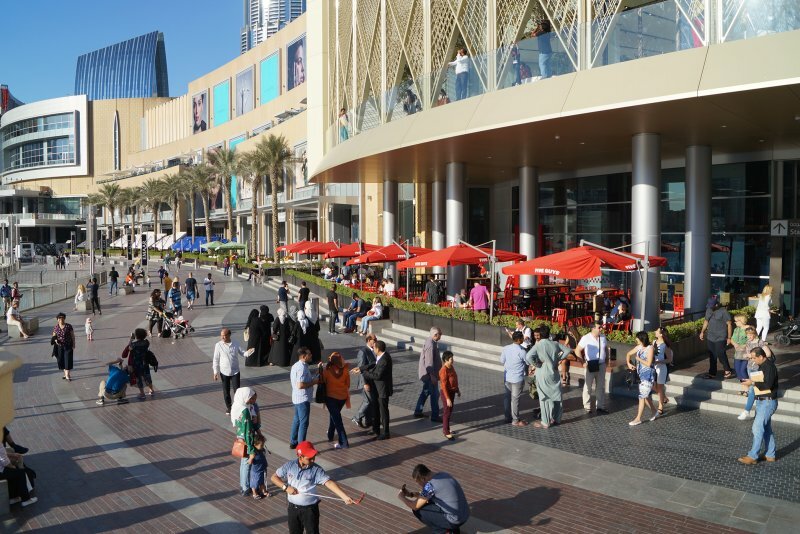 A pedestrian walkway links the mall directly to the metro station. 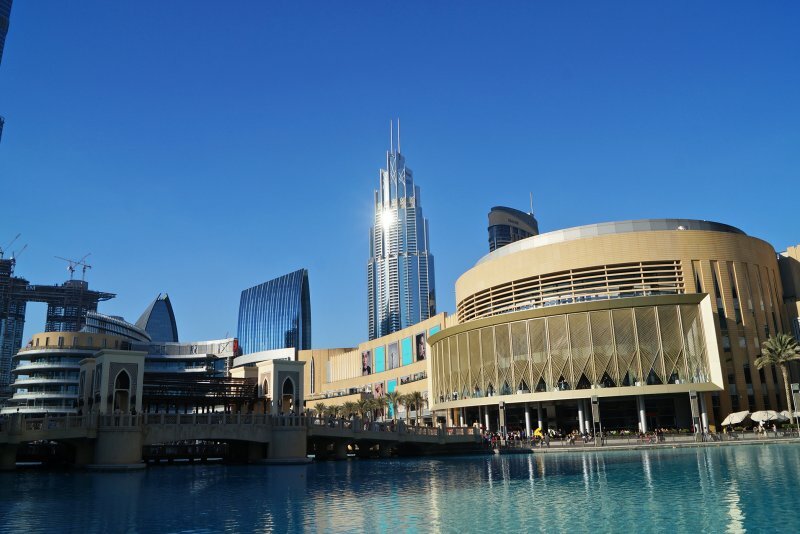 Outside the Mall the Dubai Fountain is the world's largest choreographed fountain system, putting on its spectacular show at half-hourly intervals after sunset. 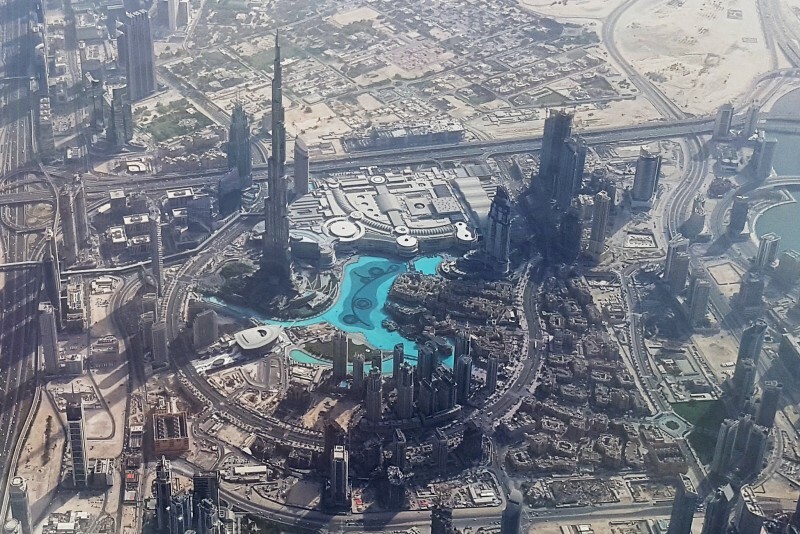 Accompanied by classical or contemporary music and illuminated by 6,600 lights and 50 coloured projectors, computer controlled jets shoot water up to 150 metres into the air. 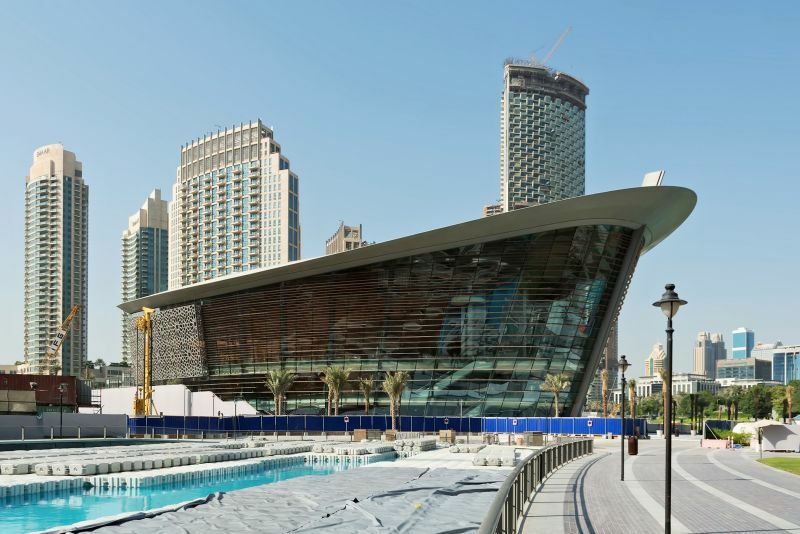 Dubai Opera is a 2,000-seat, multi-format performing arts venue in The Opera District of Downtown Dubai. 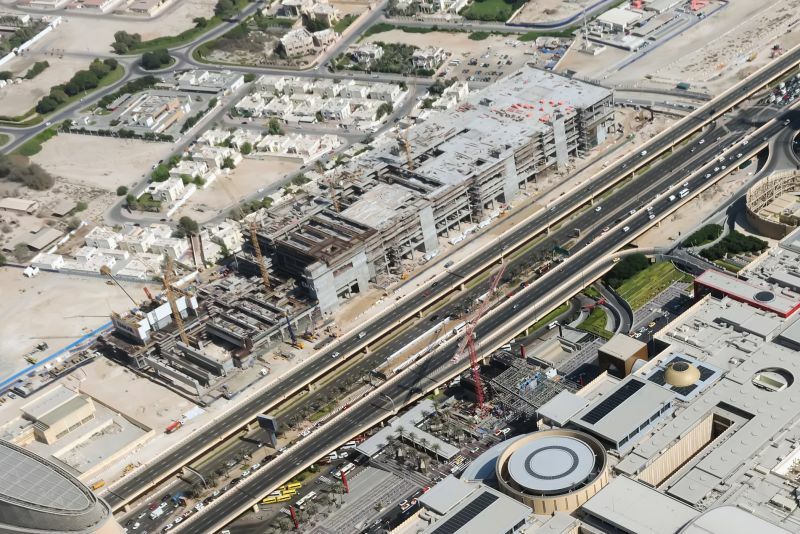 In theatre mode the space is suitable for opera, musicals, ballet and dance performances, large scale drama productions, lectures and conferences, and is capable of seating audiences of up to 2,040. 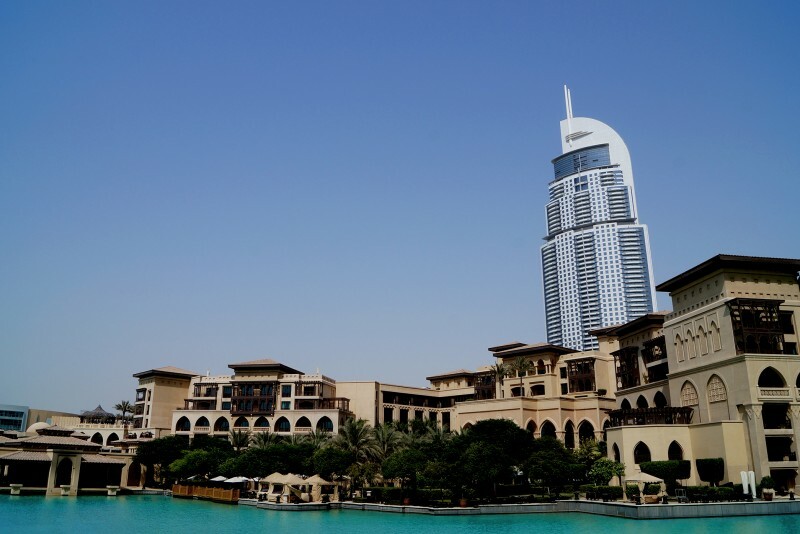 The building’s design is inspired by the Arabian dhow. 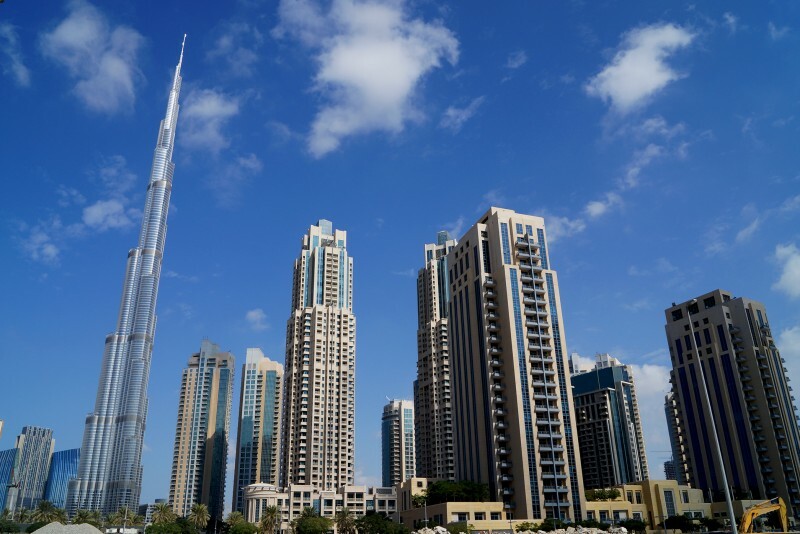 The Address Downtown Dubai is a super tall skyscraper alongside the Dubai Mall, the Old Town, and the Burj Khalifa Lake. 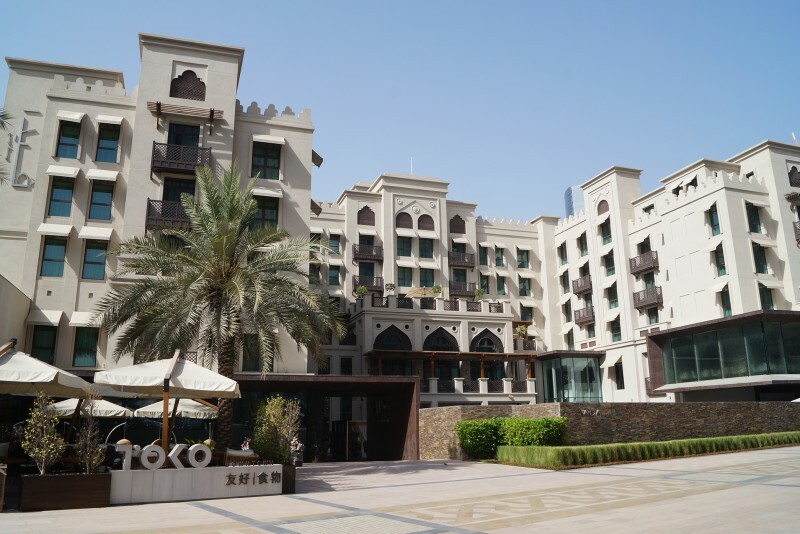 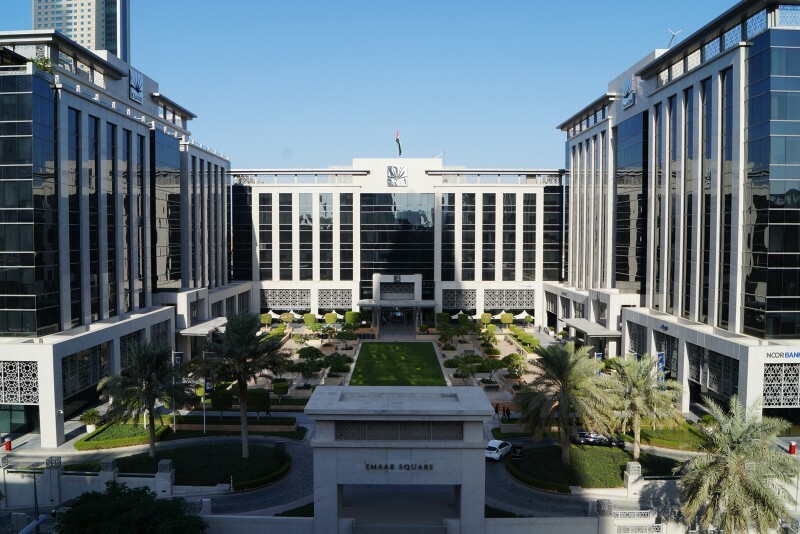 The 5-star hotel and residential compound has 196 rooms and 63 floors of serviced apartments. 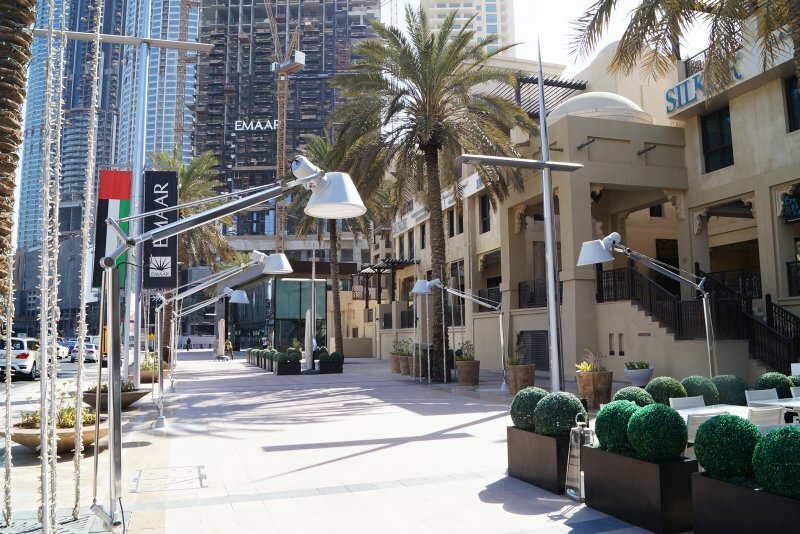 This district is situated along Sheikh Zayed Road opposite Al Wasl and bounded by Business Bay to the south and by Financial Centre Road to the north-east. 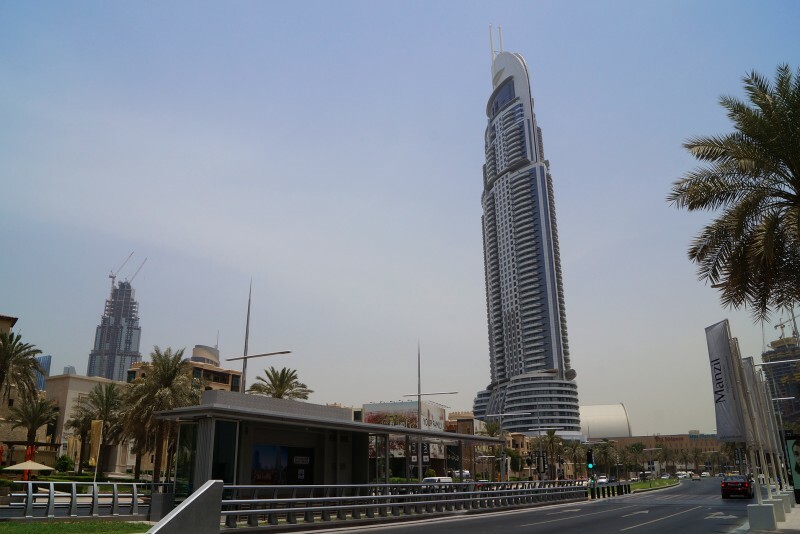 Downtown Dubai is connected to the Dubai Metro via the Burj Khalifa/Dubai Mall Metro Station. 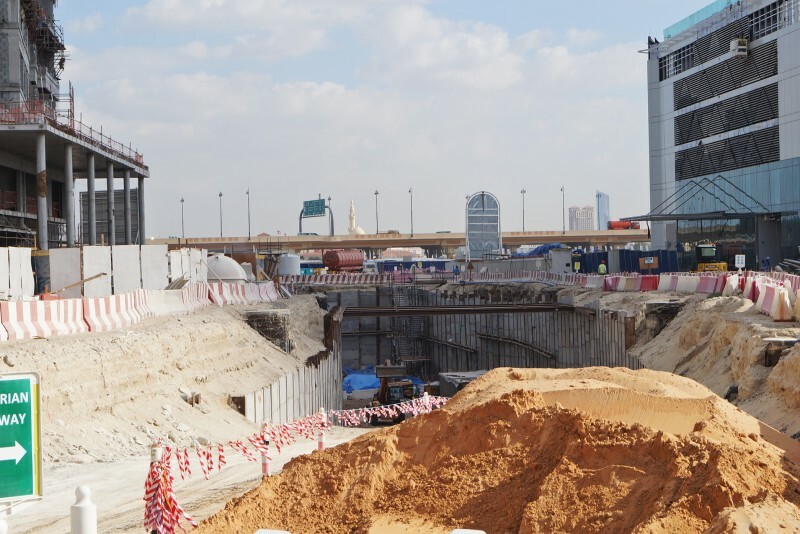 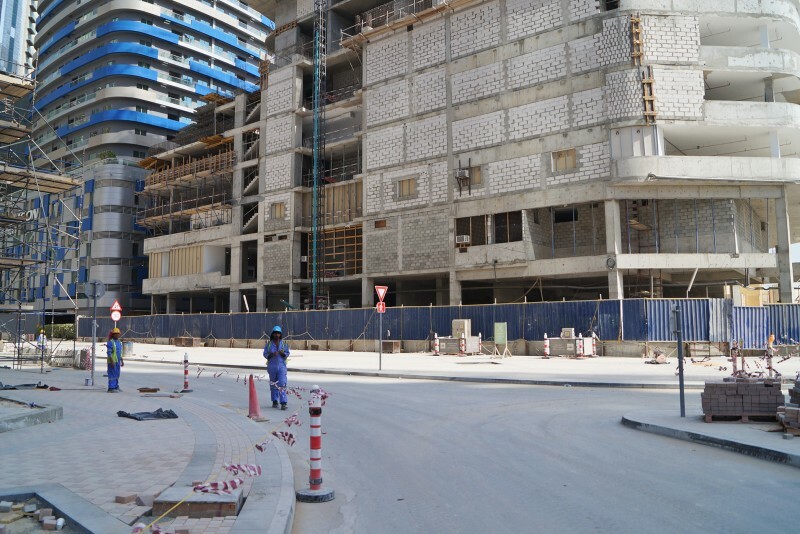 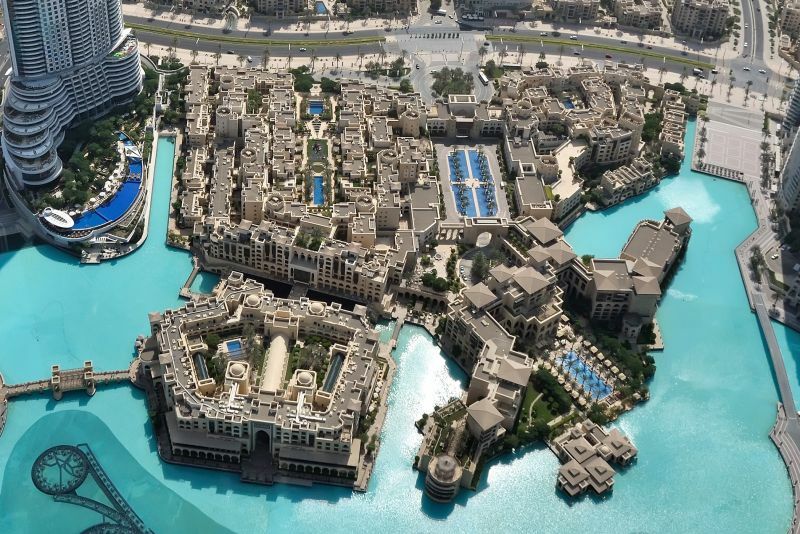 We currently maintain records for 9 sub-communities in Downtown Dubai. 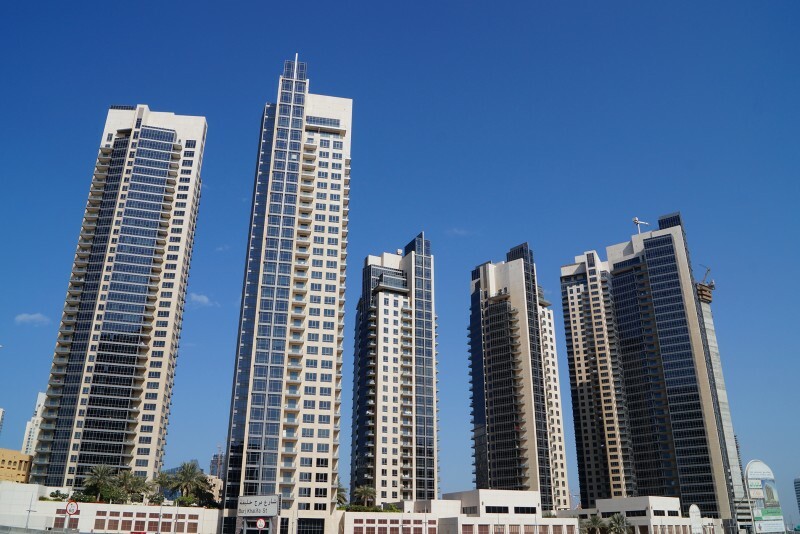 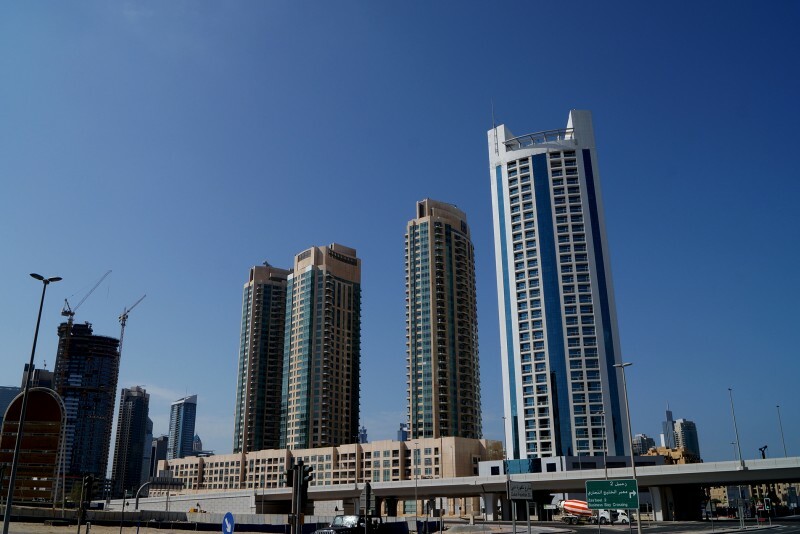 We currently maintain records for 116 building developments in Downtown Dubai. 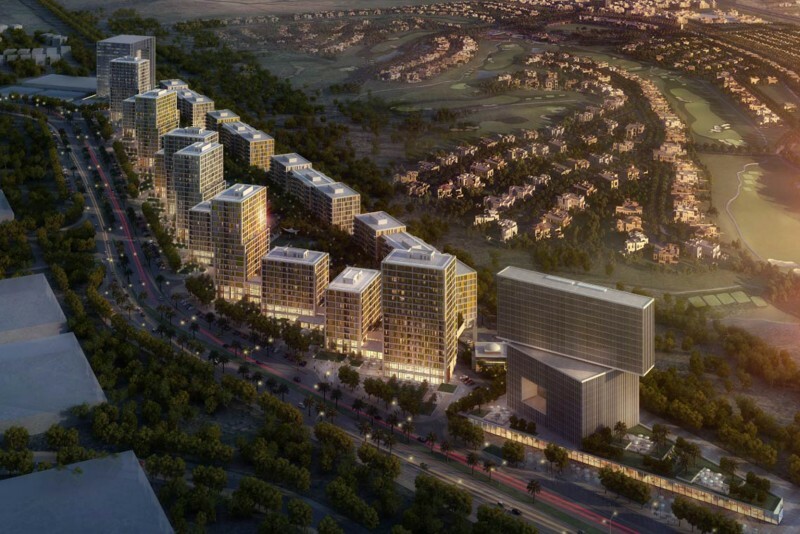 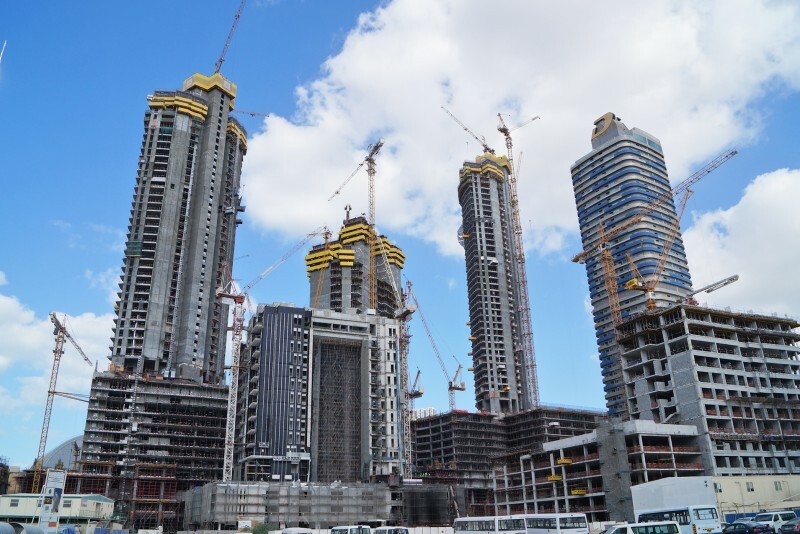 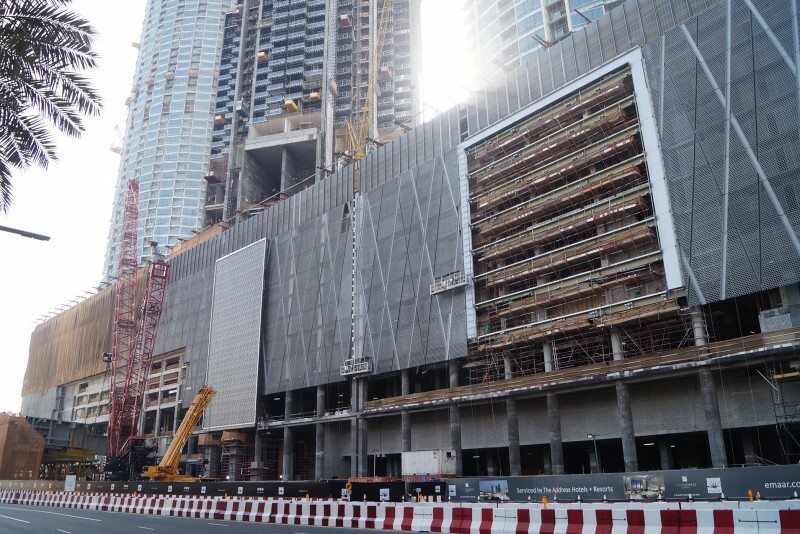 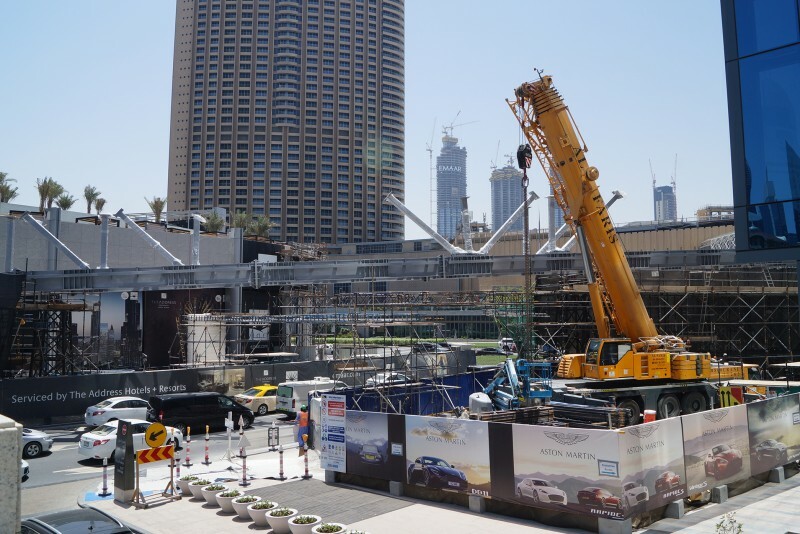 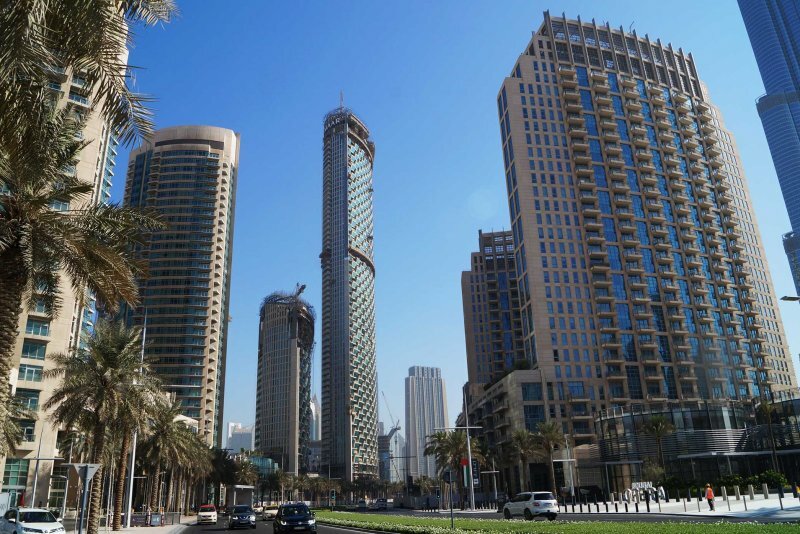 View all Downtown Dubai building developments.